Why Important: Dr. Sabin was the first female medical professor at Johns Hopkins as well as a major medical reformer in Colorado. She also was the first female member of the National Academy of Sciences and first female physician-scientist at Rockefeller Institute for Medical Research. 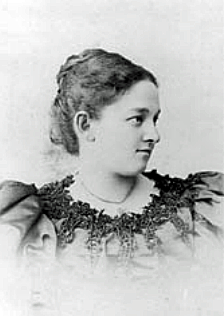 Florence Rena Sabin was born November 9, 1871 in Central City, Colorado. She attended Smith College, a women’s school in Massachusetts. She went on to attend Johns Hopkins University Medical School.1“Woman Doctor Wins Prize.” Fort Morgan Times, July 31, 1903. CHNC The school had just opened its doors to women and Florence was one of only fourteen women in her class. Dr. Sabin was very talented and became a professor at Johns Hopkins in 1917. This made her the first woman to become a full professor at any medical college in the country! Just a few years later, in 1924, Dr. Sabin was elected the first woman president of the American Association of Anatomists and first lifetime woman member of the National Academy of Sciences. Although a talented teacher, Dr. Sabin decided to concentrate on research. In 1925, she became Head of the Department of Cellular Studies at the Rockefeller Institute for Medical Research. Her research focused on fighting tuberculosis. In 1938, Sabin retired to Colorado. However, retirement was short-lived. Governor Vivian asked her to lead the State Health Committee.2“Medical Meeting.” Aspen Daily Times, June 20, 1946. CHNC At the time, Colorado had one of the highest infant death rates in the country as well as the third-highest scarlet fever rates and the fifth-highest diphtheria total. Dr. Sabin reformed health care, writing eight health bills that the legislature passed. In 1947 Mayor Quigg Newton declared Dr. Sabin the new Denver Manager of Health and Charities.3“Stockmen Will Meet In Boulder Starting June 23.” Steamboat Pilot, June 24, 1948. CHNC Dr. Sabin soon began a city-wide x-ray and public education program4 “Tuberculosis X-Ray Unit Visits County.” Record Journal of Douglas, December 3, 1948. CHNC that reduced the Denver tuberculosis rate by fifty percent. Florence died in Denver in 1953.5“Farm Folks.” Steamboat Pilot, October 22, 1953. CHNC To honor her great works, the State sent a statue of her to represent Colorado in the Statuary Hall at the Capitol in Washington. 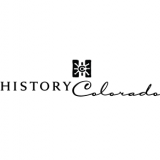 Read the original bio at History Colorado. 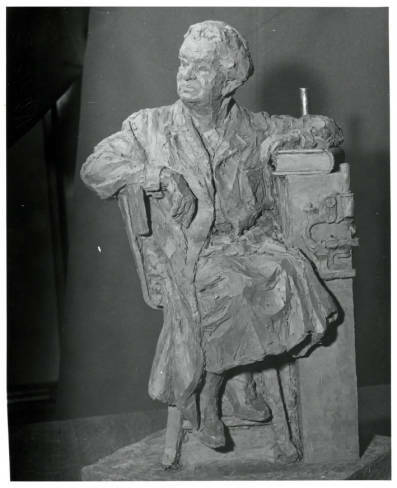 Dr. Sabin was inducted into the Colorado Women’s Hall of Fame in 1985.